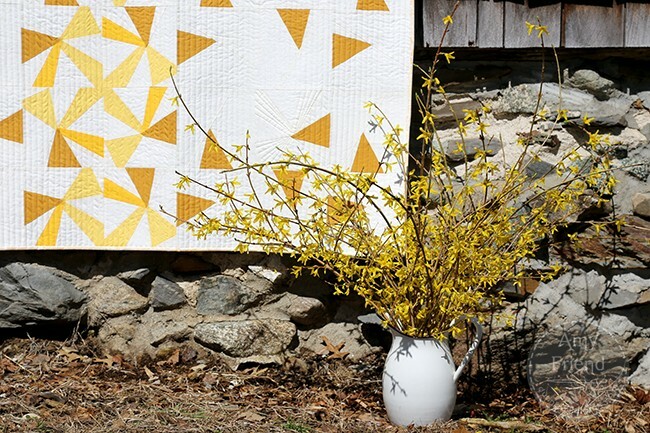 Finally, New England “spring” weather cooperated with me long enough to take a photograph of my finished quilt! 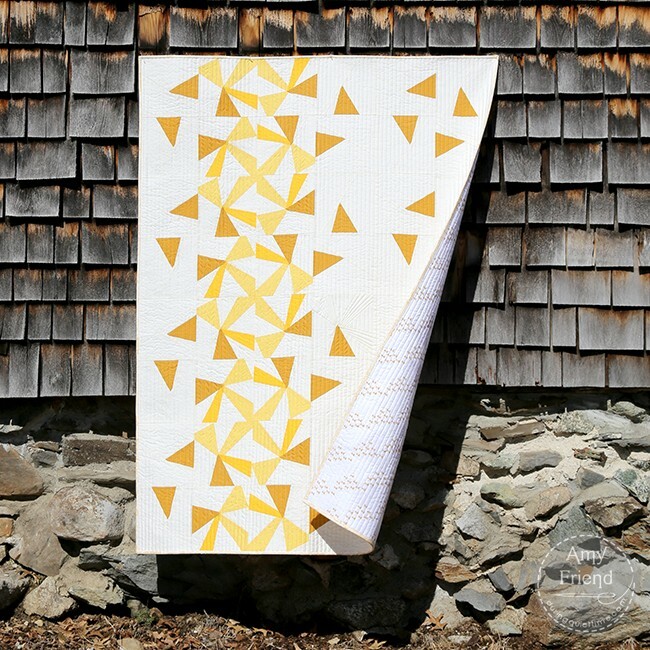 This quilt was designed in EQ8 using my improv paper piecing design technique. I am often asked if EQ software is needed in order to use my design technique. No, it isn’t needed. In fact, we only use paper and pencil in my workshops to create improv paper pieced block patterns. EQ just makes it so much easier and faster. It’s a great tool, one that I have been happily using for over six years now. My inspiration for this quilt design was a bow. I have always, always, loved bows. Can you see the bows? I like the fact that you can find them but they aren’t necessarily the first thing you see. As I say in my book, Improv Paper Piecing, once an object provides inspiration, it has served its purpose. The inspiration doesn’t need to be the “subject” of your finished design. I only created a couple of columns of fully pieced blocks, then I made blocks with only the darkest shade pieced. I like the way the design morphs into negative space by doing that. 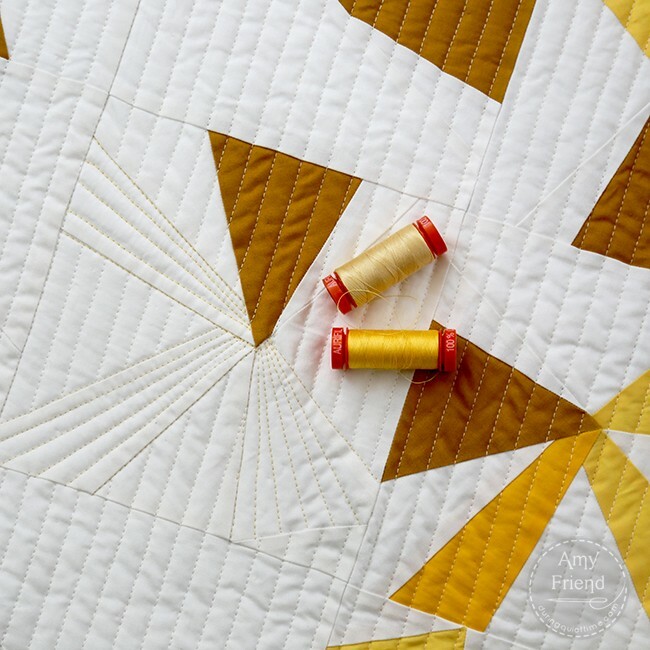 I quilted with straight lines, 1/2″ apart, except for two of the partially pieced blocks. I quilted those blocks with radiating straight lines within the bow shape using matching shades of Aurifil thread. The yellow threads matched the Kona solids used for those portions of the bow in the other blocks. 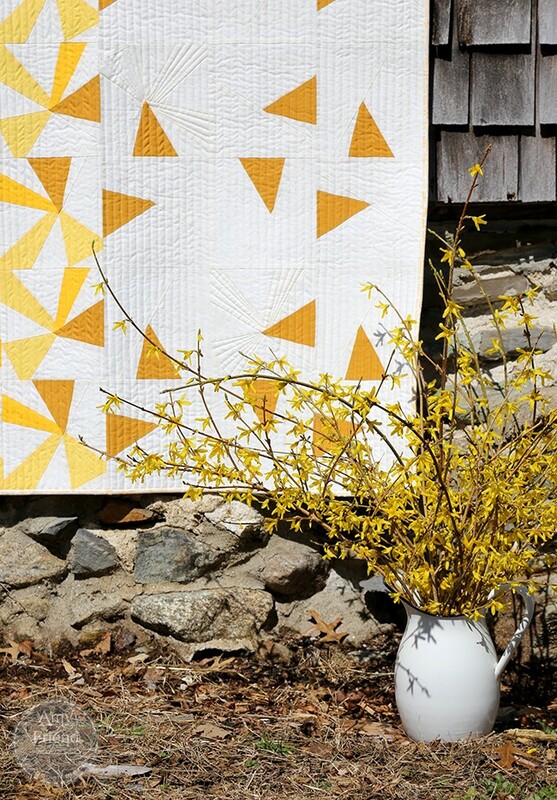 I like the added interest this quilting provides. You can see the quilting detail in the photo above. This shot shows a bit of the backing; thank you cooperative wind. I used the bow print from my Improv fabric collection to back the quilt. It was completely unplanned, believe it or not. I had even ordered a different backing fabric before I realized that I could use this print and it was so perfect since both designs stemmed from my love of bows. I pieced a strip of improv pieced bows in a column down the back in order to make the backing wide enough. The finished Charley quilt measures 45″ x 60.5″. 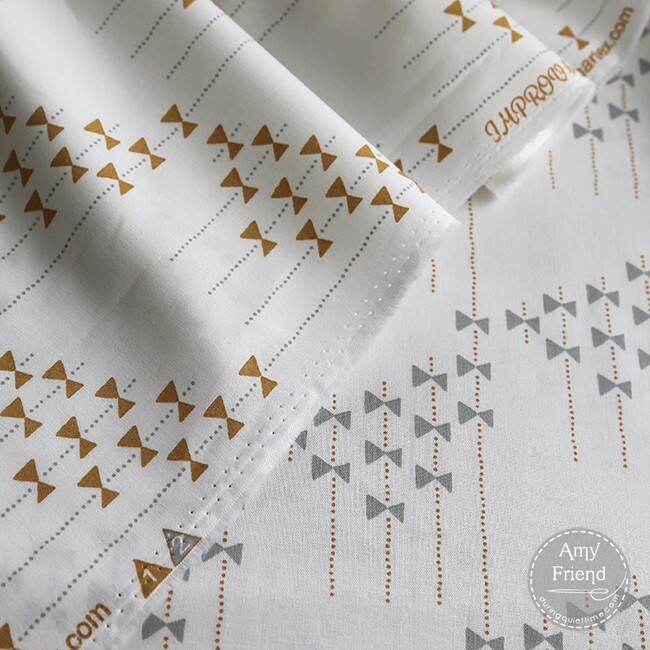 The size, combined with the whimsical design, make it perfect for the modern baby’s nursery. Though, I hardly think that the design needs to be limited to babies! I chose to sew my sample in yellow since it is a great color choice for a boy or girl. 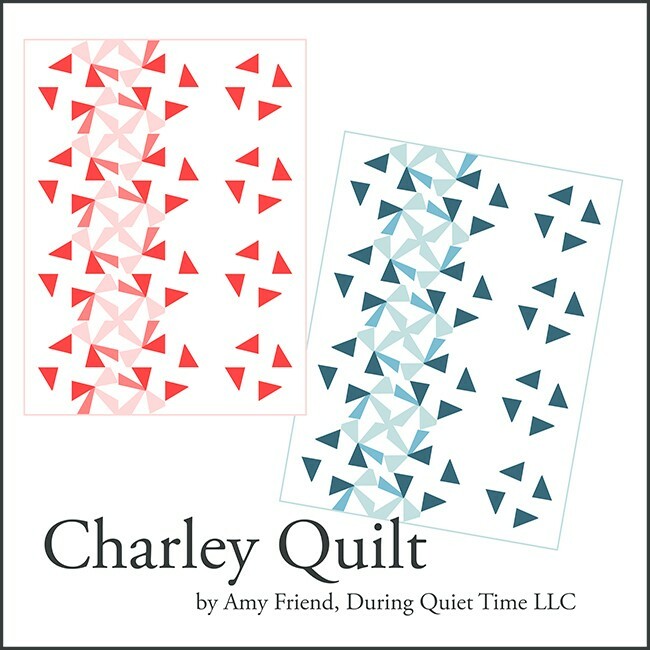 And that’s why the quilt is named Charley, too. I thought I would give it a unisex name and that was my favorite of the names I researched. 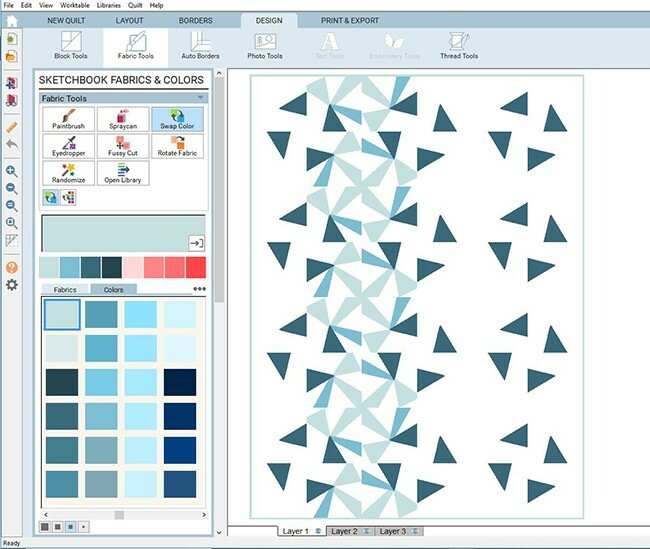 One of my favorite things about EQ8 is the ability to easily visualize my designs in different color schemes. This is a capture of my screen while working on a blue version of the quilt. You will notice that I used the border tool, set at .25″ on all sides, to mock up the binding of the quilt. And I used one of my favorite features of EQ8, the “hide/show quilt patch lines” tool, to show the quilt without the black block/patch lines. This allows me to get a better sense of what the finished quilt will look like. 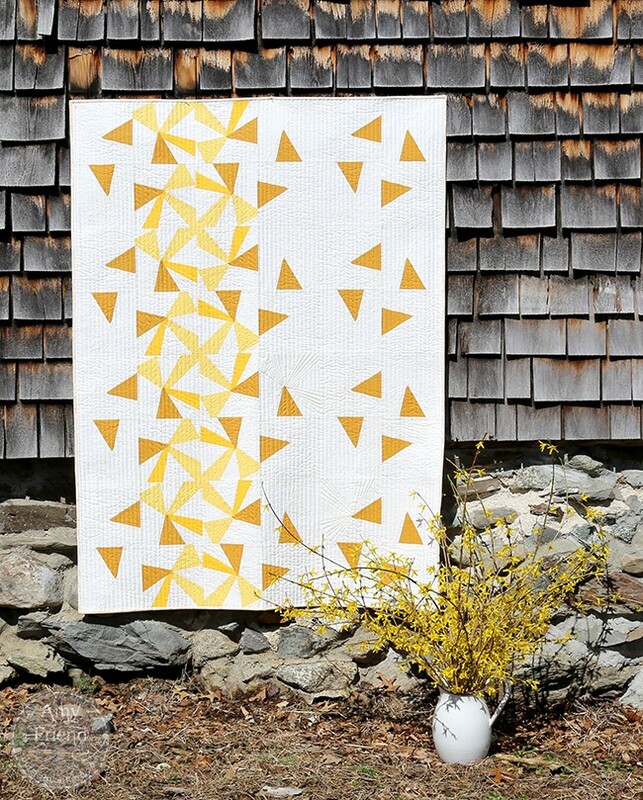 I think that this quilt looks great in so many ombre color schemes! 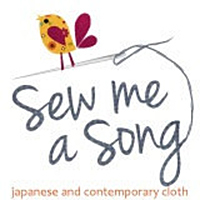 I am working on the pattern and will have it ready for you very soon. What colors do you think you would select?